Age of Empires: Castle Siege on Windows 10 will no longer be available for purchase after November 13, 2018. Find out more. Alphajax will no longer be available for purchase or download after May 18, 2018. Find out more. Need help with Assassin’s Creed Odyssey? Find links to the AC Odyssey help page, the AC Odyssey help page on Twitter, and your purchase history. Head over to the Ubisoft support page for troubleshooting help. Learn about Battlefield 1 on Xbox One, how to buy the game, and where to get troubleshooting help. Learn about Call of Duty on Xbox One, Xbox 360, and Windows 10, how to buy the game, and where to get troubleshooting help. Head over to the Candy Crush Saga FAQ for troubleshooting help. Learn about Cobalt on Xbox One and Xbox 360, how to buy the game, and where to get troubleshooting help. Learn about Dead Rising 4 on Xbox One and Windows 10, how to buy the game, and where to get troubleshooting help. Learn about Destiny 2 on Xbox One, how to buy the game, and where to get troubleshooting help. Learn about Disneyland Adventures for Xbox One and Windows 10, how to buy the game, and where to get troubleshooting help. Need help with Fallout 76? Find links to the Fallout 76 help page, the Fallout 76 help page on Twitter, the Fallout 76 FAQ, and your purchase history. Learn about FIFA on Xbox One and Xbox 360, how to buy the games, and where to get troubleshooting help. Need help with Fortnite? Find links to the Fortnite FAQ, your Epic account, and your purchase history. Learn about Forza Motorsport & Forza Horizon on Xbox One and Windows 10, how to buy the game, and where to get troubleshooting help. Learn to Gears of War for Xbox One and Windows 10, how to buy the game, and where to get troubleshooting help. 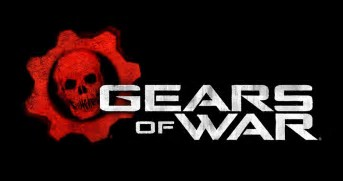 Learn about Gears of War 3 – bonus content, troubleshooting connection and gameplay problems, collector’s editions and the Gears of War 3 Season Pass.